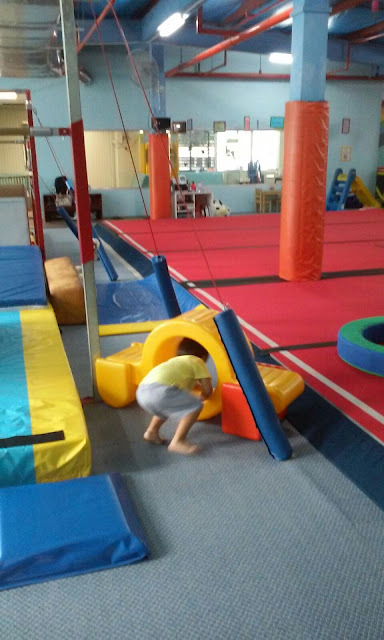 To say that our younger son E is a natural acrobat is an understatement. The almost 4-year-old has been "hanging on" to his Daddy from as far back as I remember. There have been numerous instances when I was sitting innocuously on the bed; either reading a book or doing my work on the computer. Then, without any warning, I would feel a weight on my shoulders as two little hands, followed by two little feet, made their way up my back. There might be some pressure on the top of my head, after my face and glasses had been clawed at by a pair of tiny fingers. 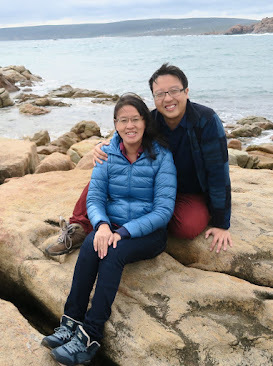 I would hear a little chuckle followed by a hearty laugh, as the little one completes his act by standing on my shoulder, with only my hair for support. And using my shoulders as a human trampoline, he usually attempts to bounce around and perform his acrobatic feats of courage and bravado. By then, Daddy wiggles in a mock attempt to shake off his unwanted shoulder weight. This culminates in an exhilarating and climatic collapse, with the little boy struggling under the weight of Daddy's body, and laughing uncontrollably, finally releasing his hold on his tired father. And so both Daddy and Son get up from the lying down position; but not without the little one attempting to mount his father's shoulders yet another time. The incidents on the bed demonstrate E's love for climbing and jumping and all things exciting. 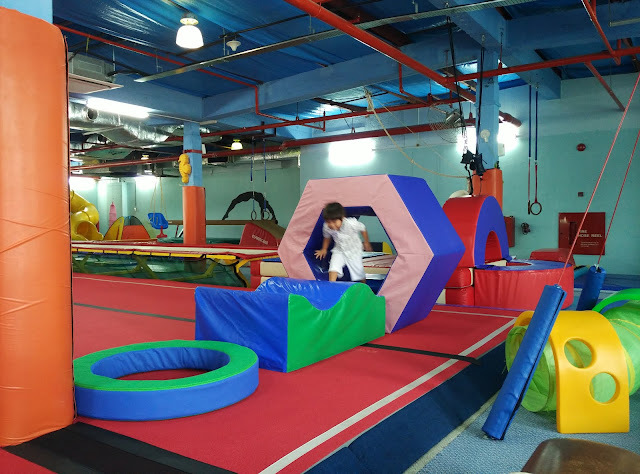 As we adopt a strengths-based approach in the parenting of our children, we wanted to look for a class that would fully utilise this adventurous streak in our son. 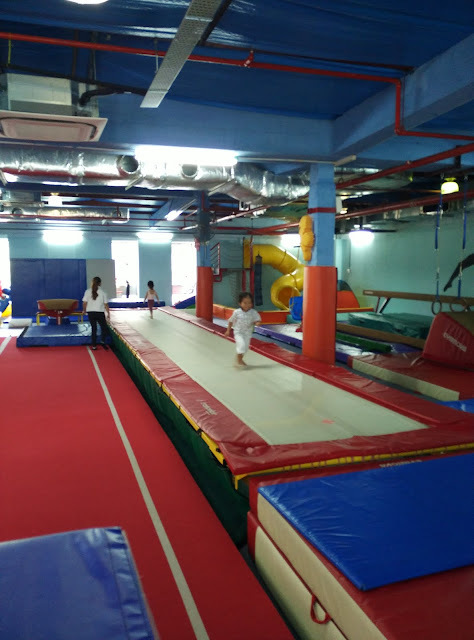 When we found out that Bubbles Gym is one of the few gyms in Singapore that allow for children aged 3-6 to actually try out gymnastic skills, we began to wonder if this might be the class for him. And so began our little acrobat's foray into gymnastics. Our little one was slight apprehensive for his first lesson. But after a brief moment, he quickly warmed up and began to participate fully in the programme. 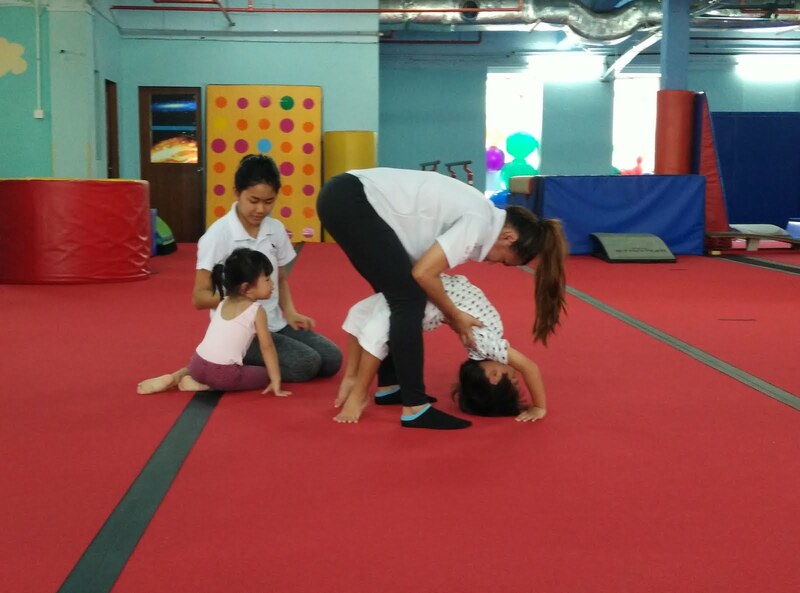 This started with the warm up exercises on the floor, which then eased into more difficult exercises that older gymnasts actually participate in, but at a simpler level. Stretching exercises on the floor. Getting ready for the arch. 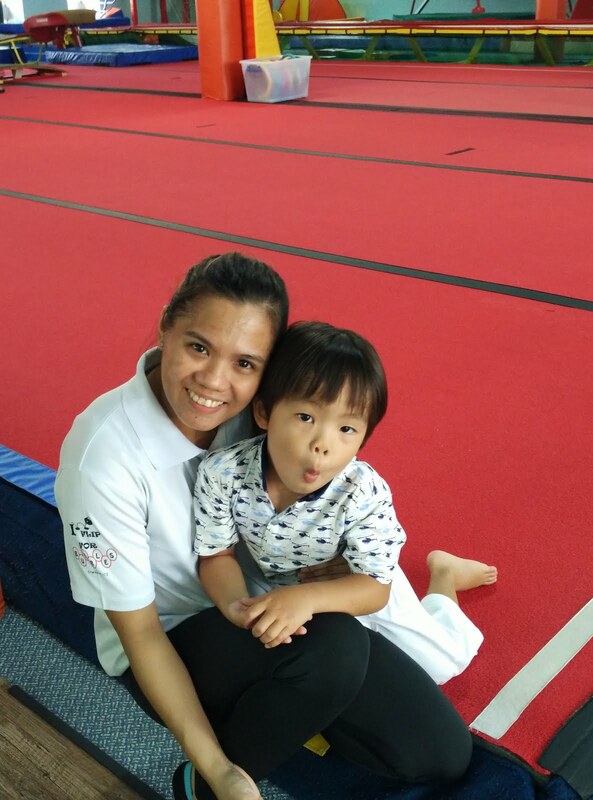 their energy and develop a love for gymnastics. 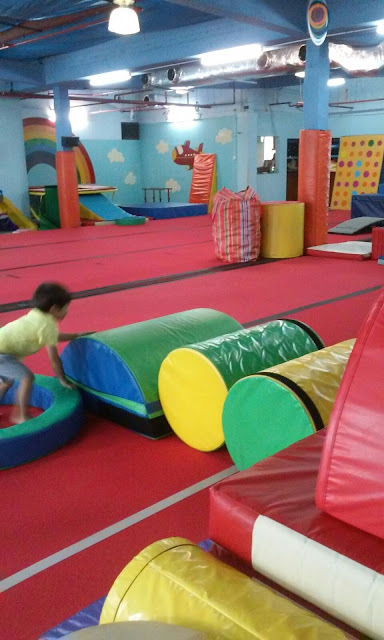 Kids are allowed to "explore" in a structured manner that helps them in their physical development. fun learning environment for the kids. fuels their desire to participate more actively. 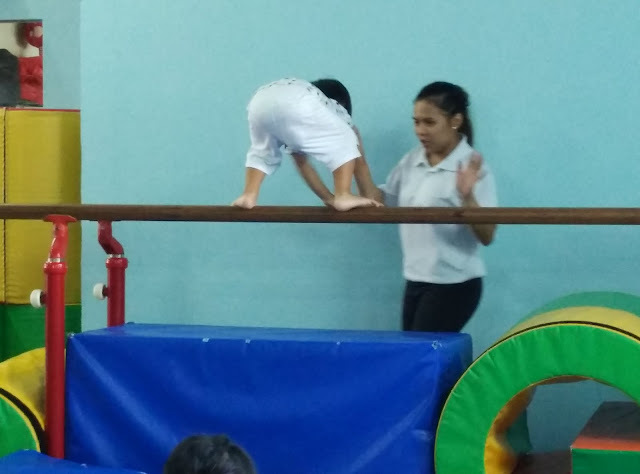 Our little one doing a handstand. 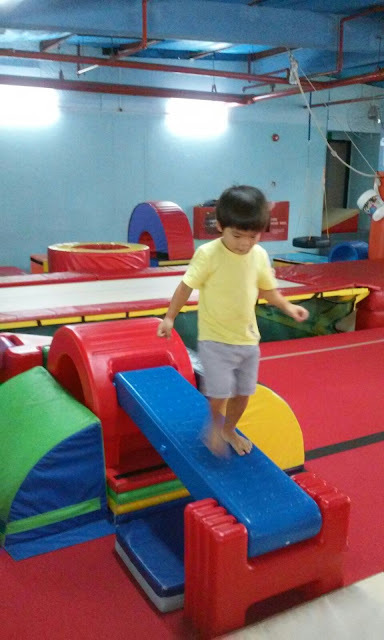 And the little one makes his way across the balance beam. "Look Teacher! I can do it on my own!" Bubbles Gym has a host of programmes that cater to children of different ages. 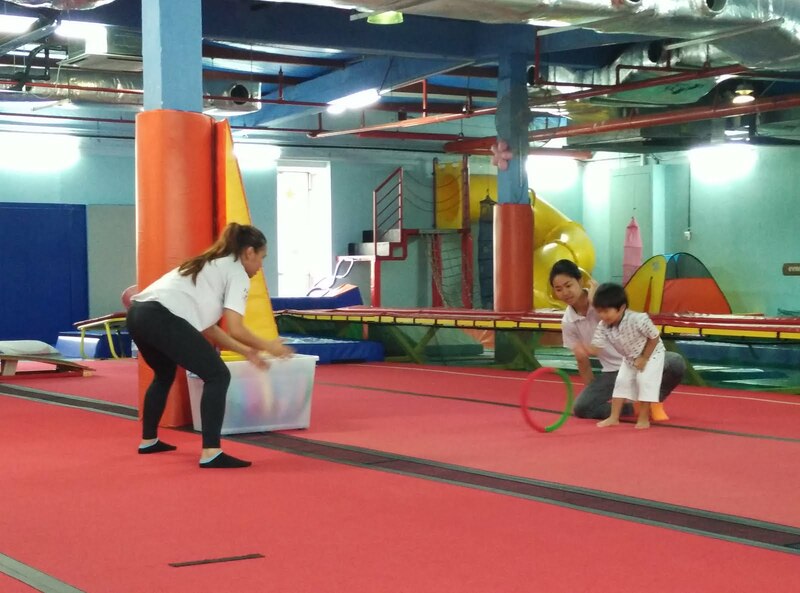 Kids as young as 1-year-old can take part in their Gymtots Programme. 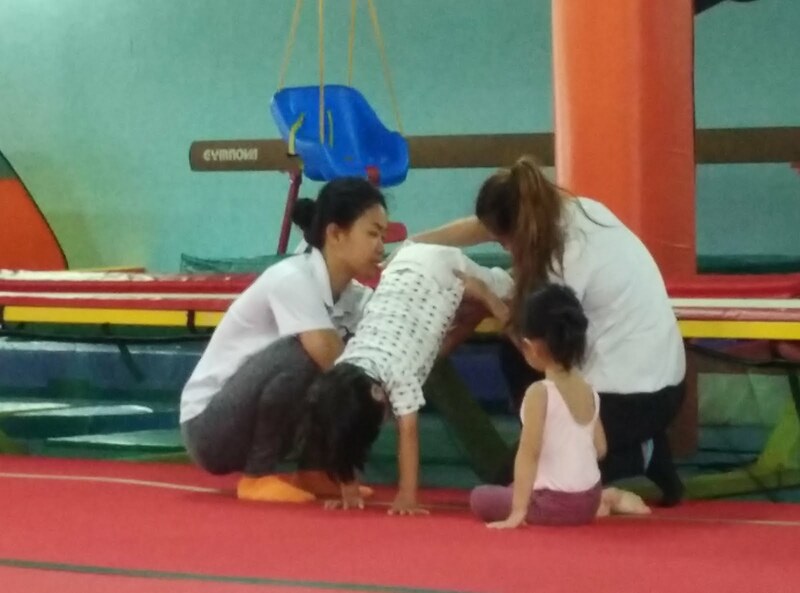 The programme which we signed up for was the Kindergym Class, intended for kids 3-6. 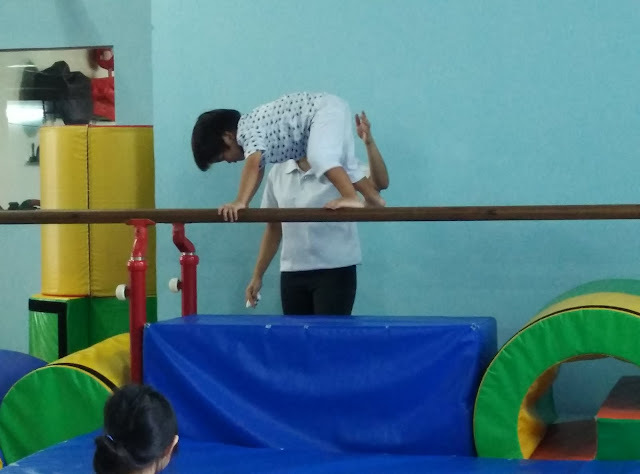 We are so glad that our almost-4-year-old is enjoying his classes and he is indeed learning many skills that help him in his physical development. Hopefully he doesn't try to replicate too many of the activities at home! Bubbles Gym is located at The Grandstand at 200 Turf Club Road. 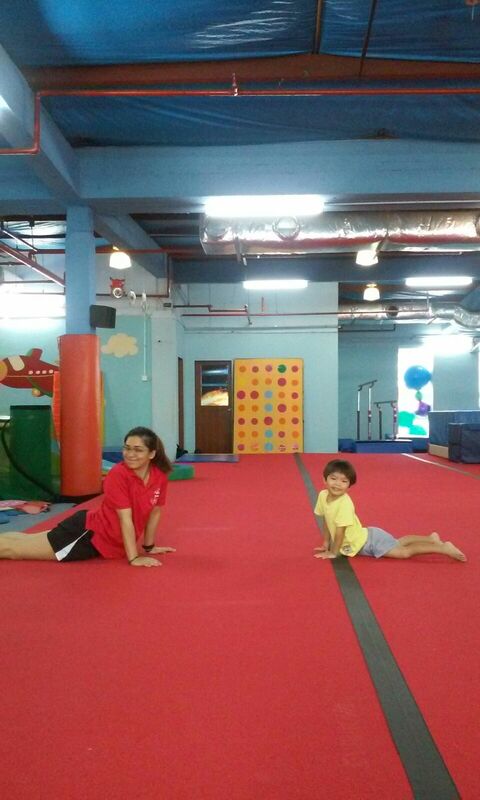 You can visit their website at http://bubblesgym.com.sg/ for more details.